Monaco (/ˈmɒnəkoʊ/ (listen); French pronunciation: ​[mɔnako]), officially the Principality of Monaco (French: Principauté de Monaco),[a] is a sovereign city-state, country, and microstate on the French Riviera in Western Europe. France borders the country on three sides while the other side borders the Mediterranean Sea. Monaco has an area of 2.020 km2 (0.780 sq mi), making it the second-smallest country in the world after the Vatican. Its population was about 38,400 based on the last census of 2016. With 19,009 inhabitants per km², it is the most densely-populated sovereign state in the world. Monaco has a land border of 5.47 km (3.40 mi), a coastline of 3.83 km (2.38 mi), and a width that varies between 1,700 and 349 m (5,577 and 1,145 ft). The highest point in the country is a narrow pathway named Chemin des Révoires on the slopes of Mont Agel, in the Les Révoires Ward, which is 161 metres (528 feet) above sea level. Monaco's most populous Quartier is Monte Carlo and the most populous Ward is Larvotto/Bas Moulins. Through land reclamation, Monaco's land mass has expanded by 20 percent; in 2005, it had an area of only 1.974 km2 (0.762 sq mi). Monaco is known as a playground for the rich and famous, due to its tax laws. In 2014, it was noted that about 30% of the population was made up of millionaires. Monaco is a principality governed under a form of constitutional monarchy, with Prince Albert II as head of state. Although Prince Albert II is a constitutional monarch, he wields immense political power. The House of Grimaldi has ruled Monaco, with brief interruptions, since 1297. The official language is French, but Monégasque, Italian, and English are widely spoken and understood. [b] The state's sovereignty was officially recognized by the Franco-Monegasque Treaty of 1861, with Monaco becoming a full United Nations voting member in 1993. Despite Monaco's independence and separate foreign policy, its defense is the responsibility of France. However, Monaco does maintain two small military units. Economic development was spurred in the late 19th century with the opening of the country's first casino, Monte Carlo, and a railway connection to Paris. Since then, Monaco's mild climate, scenery, and gambling facilities have contributed to the principality's status as a tourist destination and recreation centre for the rich. In more recent years, Monaco has become a major banking centre and has sought to diversify its economy into the services sector and small, high-value-added, non-polluting industries. The state has no income tax, low business taxes, and is well known for being a tax haven. It is also the host of the annual street circuit motor race Monaco Grand Prix, one of the original Grands Prix of Formula One. The principality has a club football team; AS Monaco, who have become French champions on multiple occasions. Monaco is not formally a part of the European Union (EU), but it participates in certain EU policies, including customs and border controls. Through its relationship with France, Monaco uses the euro as its sole currency (prior to this it used the Monégasque franc). Monaco joined the Council of Europe in 2004. It is a member of the Organisation Internationale de la Francophonie (OIF). ^ Government offices are however, located in the Quartier of Monaco-Ville. ^ GDP per capita calculations include non-resident workers from France and Italy. ^ Monacan is the term for residents. Monaco's name comes from the nearby 6th-century BC Phocaean Greek colony. Referred to by the Ligurians as Monoikos, from the Greek "μόνοικος", "single house", from "μόνος" (monos) "alone, single" + "οἶκος" (oikos) "house", which bears the sense of a people either settled in a "single habitation" or of "living apart" from others. According to an ancient myth, Hercules passed through the Monaco area and turned away the previous gods. As a result, a temple was constructed there, the temple of Hercules Monoikos. Because the only temple of this area was the "House" of Hercules, the city was called Monoikos. It ended up in the hands of the Holy Roman Empire, which gave it to the Genoese. An ousted branch of a Genoese family, the Grimaldi, contested it for a hundred years before actually gaining control. Though the Republic of Genoa would last until the 19th century, they allowed the Grimaldi family to keep Monaco, and, likewise, both France and Spain left it alone for hundreds of years. France did not annex it until the French Revolution, but after the defeat of Napoleon it was put under the care of the Kingdom of Sardinia. In the 19th century, when Sardinia became a part of Italy, the region came under French influence again but France allowed it to remain independent. Like France, Monaco was overrun by the Axis powers during the Second World War and for a short time was administered by Italy, then the Third Reich, before finally being liberated. Although the occupation lasted for just a short time, it meant the deportation of the Jewish population and execution of several resistance members from Monaco. Since then Monaco has been independent. It has taken some steps towards integration with the European Union. Following a land grant from Emperor Henry VI in 1191, Monaco was refounded in 1215 as a colony of Genoa. Monaco was first ruled by a member of the House of Grimaldi in 1297, when Francesco Grimaldi, known as "Il Malizia" (translated from Italian either as "The Malicious One" or "The Cunning One"), and his men captured the fortress protecting the Rock of Monaco while dressed as Franciscan monks—a monaco in Italian, although this is a coincidence as the area was already known by this name. Francesco, however, was evicted only a few years afterwards by the Genoese forces, and the struggle over "the Rock" continued for another century. The Grimaldi family was Genoese and the struggle was something of a family feud. However, the Genoese became engaged in other conflicts, and in the late 1300s Genoa became involved in a conflict with the Crown of Aragon over Corsica. The Crown of Aragon eventually became a part of Spain through marriage (see modern day Aragon) and other parts drifted into various pieces of other kingdoms and nations. In 1419, the Grimaldi family purchased Monaco from the Crown of Aragon and became the official and undisputed rulers of "the Rock of Monaco". In 1612 Honoré II began to style himself "Prince" of Monaco. In the 1630s, he sought French protection against the Spanish forces and, in 1642, was received at the court of Louis XIII "Duc et Pair Etranger". The princes of Monaco thus became vassals of the French kings while at the same time remaining sovereign princes. Though successive princes and their families spent most of their lives in Paris, and intermarried with French and Italian nobilities, the House of Grimaldi is Italian. The principality continued its existence as a protectorate of France until the French Revolution. In 1793, Revolutionary forces captured Monaco and it remained under direct French control until 1814, when the Grimaldi family returned to the throne. Between 1793 and 1814 Monaco was occupied by the French (in this period much of Europe had been overrun by the French under command of Napoleon). The principality was reestablished in 1814 only to be designated a protectorate of the Kingdom of Sardinia by the Congress of Vienna in 1815. Monaco remained in this position until 1860 when, by the Treaty of Turin, the Sardinian forces pulled out of the principality and the surrounding county of Nice (as well as Savoy) was ceded to France. Monaco became a French protectorate once again. Before this time there was unrest in Menton and Roquebrune, where the townspeople had become weary of heavy taxation by the Grimaldi family. They declared their independence, hoping for annexation by Sardinia. France protested. The unrest continued until Charles III of Monaco gave up his claim to the two mainland towns (some 95% of the principality at the time) that had been ruled by the Grimaldi family for over 500 years. These were ceded to France in return for 4,100,000 francs. The transfer and Monaco's sovereignty were recognized by the Franco-Monegasque Treaty of 1861. In 1869, the principality stopped collecting income tax from its residents—an indulgence the Grimaldi family could afford to entertain thanks solely to the extraordinary success of the casino. This made Monaco not only a playground for the rich, but a favored place for them to live. Until the Monegasque Revolution of 1910 forced the adoption of the 1911 constitution, the princes of Monaco were absolute rulers. The new constitution, however, barely reduced the autocratic rule of the Grimaldi family and Prince Albert I soon suspended it during the First World War. In July 1918, the Franco-Monegasque Treaty was signed, providing for limited French protection over Monaco. The treaty, endorsed in 1919 by the Treaty of Versailles, established that Monegasque international policy would be aligned with French political, military, and economic interests, and resolved the Monaco Succession Crisis. The marriage of the actress Grace Kelly to Prince Rainier III brought media attention to the principality. In 1943, the Italian Army invaded and occupied Monaco, forming a fascist administration. Shortly thereafter, following the collapse of Mussolini, the German Wehrmacht occupied Monaco and the Nazi deportation of the Jewish population began. René Blum, the prominent French Jew who founded the Ballet de l'Opera in Monte Carlo, was arrested in his Paris home and held in the Drancy deportation camp outside the French capital before being transported to the Auschwitz concentration camp, where he was later killed. Blum's colleague Raoul Gunsbourg, the director of the Opéra de Monte-Carlo, helped by the French Resistance, escaped arrest and fled to Switzerland. In August 1944, the Germans executed René Borghini, Joseph-Henri Lajoux and Esther Poggio, who were Resistance leaders. Rainier III, who ruled until 2005, succeeded to the throne following the death of his grandfather, Prince Louis II, in 1949. On 19 April 1956, Prince Rainier married the American actress Grace Kelly; the event was widely televised and covered in the popular press, focusing the world's attention on the tiny principality. A 1962 amendment to the constitution abolished capital punishment, provided for women's suffrage, and established a Supreme Court of Monaco to guarantee fundamental liberties. In 1963, a crisis developed when Charles de Gaulle blockaded Monaco, angered by its status as a tax haven for wealthy French. The 2014 film Grace of Monaco is loosely based on this crisis. In 1993, the Principality of Monaco became a member of the United Nations, with full voting rights. In 2002, a new treaty between France and Monaco specified that, should there be no heirs to carry on the Grimaldi dynasty, the principality would still remain an independent nation rather than revert to France. Monaco's military defence, however, is still the responsibility of France. On 31 March 2005, Rainier III, who was too ill to exercise his duties, relinquished them to his only son and heir, Albert. He died six days later, after a reign of 56 years, with his son succeeding him as Albert II, Sovereign Prince of Monaco. Following a period of official mourning, Prince Albert II formally assumed the princely crown on 12 July 2005, in a celebration that began with a solemn Mass at Saint Nicholas Cathedral, where his father had been buried three months earlier. His accession to the Monégasque throne was a two-step event with a further ceremony, drawing heads of state for an elaborate reception, held on 18 November 2005, at the historic Prince's Palace in Monaco-Ville. On 27 August 2015, Albert II apologized for Monaco's role during World War II in facilitating the deportation of a total of 90 Jews and resistance fighters, of whom only nine survived. "We committed the irreparable in handing over to the neighbouring authorities women, men and a child who had taken refuge with us to escape the persecutions they had suffered in France," Albert said at a ceremony in which a monument to the victims was unveiled at the Monaco cemetery. "In distress, they came specifically to take shelter with us, thinking they would find neutrality." In 2015, Monaco unanimously approved a modest land reclamation expansion intended primarily for some desperately needed housing and a small green/park area. Monaco had previously considered an expansion in 2008, but called it off. The plan is for about six hectares of apartment buildings, parks, shops and offices for about 1 billion euros for the land. The development will be adjacent to the Larvotto district and also will include a small marina. There were four main proposals, and the final mix of use will be finalised as the development progresses. The name for the new district is Anse du Portier. Panoramic view of Monaco from the Tête de Chien (Dog's Head) high rock promontory. Monaco has been governed under a constitutional monarchy since 1911, with the Sovereign Prince of Monaco as head of state. The executive branch consists of a Minister of State as the head of government, who presides over a five-member Council of Government. Until 2002, the Minister of State was a French citizen appointed by the prince from among candidates proposed by the French government; since a constitutional amendment in 2002, the Minister of State can be French or Monegasque. However, Prince Albert II appointed, on 3 March 2010, the Frenchman Michel Roger as Minister of State. Under the 1962 constitution, the prince shares his veto power with the unicameral National Council. The 24 members of the National Council are elected for five-year terms; 16 are chosen through a majority electoral system and 8 by proportional representation. All legislation requires the approval of the National Council, which is currently dominated by the conservative Rally and Issues for Monaco (REM) party which holds 20 seats. Union Monégasque holds three seats while Renaissance holds one seat. The principality's city affairs are directed by the Communal Council, which consists of 14 elected members and is presided over by a mayor. Unlike the National Council, councillors are elected for four-year terms, and are strictly non-partisan; however, oppositions inside the council frequently form. In the center is La Condamine. At the right with the smaller harbor is Fontvieille, with The Rock (the old town, fortress, and Palace) jutting out between the two harbors. At the left are the high-rise buildings of La Rousse/Saint Roman. La Condamine, the southwestern section including the port area, Port Hercules. The municipalities were merged into one in 1917, after accusations that the government was acting according to the motto "divide and conquer," and they were accorded the status of Wards or Quartiers thereafter. La Rousse/Saint Roman (including Le Ténao) became the seventh ward, also created from part of Monte Carlo. Les Révoires, also created from part of La Condamine. An additional ward was planned by new land reclamation to be settled beginning in 2014 but Prince Albert II announced in his 2009 New Year Speech that he had ended plans due to the current economic climate. However, Prince Albert II in mid-2010 firmly restarted the program. In 2015, a new development called Anse du Portier was announced. The four traditional Quartiers of Monaco are Monaco-Ville, La Condamine, Monte Carlo and Fontvieille. However, the suburb of Moneghetti, the high-level part of La Condamine, is generally seen today as an effective fifth Quartier of the Monaco, having a very distinct atmosphere and topography when compared with low-level La Condamine. Note: for statistical purposes, the Wards of Monaco are further subdivided into 178 city blocks (îlots), which are comparable to the census blocks in the United States. The wider defence of the nation is provided by France. Monaco has no navy or air force, but on both a per-capita and per-area basis, Monaco has one of the largest police forces (515 police officers for about 36,000 people) and police presences in the world. Its police includes a special unit which operates patrol and surveillance boats. There is also a small military force. This consists of a bodyguard unit for the Prince and the palace in Monaco-Ville called the Compagnie des Carabiniers du Prince (Prince's Company of Carabiniers), which is equipped with weapons such as M16A2 rifles and 9 mm pistols (Glock 17), and which together with the militarized, armed fire and civil defence Corps (Sapeurs-Pompiers) forms Monaco's total public forces. The Compagnie des Carabiniers du Prince was created by Prince Honoré IV in 1817 for the protection of the principality and the Princely family. The company numbers exactly 116 officers and men; while the NCOs and soldiers are local, the officers have generally served in the French Army. In addition to their guard duties as described, the Carabiniers patrol the principality's beaches and coastal waters. Monaco is a sovereign city state, with five quartiers and ten wards, located on the French Riviera in Western Europe. It is bordered by France's Alpes-Maritimes département on three sides, with one side bordering the Mediterranean Sea. Its center is about 16 km (9.9 mi) from Italy and only 13 km (8.1 mi) northeast of Nice, France. It has an area of 2.02 km2 (0.78 sq mi), or 202 hectares (500 acres), and a population of 38,400, making Monaco the second-smallest and the most densely populated country in the world. The country has a land border of only 5.47 km (3.40 mi), a coastline of 3.83 km (2.38 mi), a maritime claim that extends 22.2 kilometres (13.8 mi), and a width that varies between 1,700 and 349 m (5,577 and 1,145 ft). The highest point in the country is at the access to the Patio Palace residential building on the Chemin des Révoires (ward Les Révoires) from the D6007 (Moyenne Corniche street) at 164.4 metres (539 feet) above sea level. The lowest point in the country is the Mediterranean Sea. Saint-Jean is the longest flowing body of water, around 0.19 km (190 metres; 0.12 miles; 620 feet) in length, and Fontvieille is the largest lake, approximately 0.5 ha (5,000.00 m2; 1.24 acres; 53,819.55 sq ft) in area. Monaco's most populated quartier is Monte Carlo, and the most populated ward is Larvotto/Bas Moulins. After a recent expansion of Port Hercules, Monaco's total area grew to 2.02 km2 (0.78 sq mi) or 202 hectares (500 acres); consequently, new plans have been approved to extend the district of Fontvieille by 0.08 km2 (0.031 sq mi) or 8 hectares (20 acres), with land reclaimed from the Mediterranean Sea. Current land reclamation projects include extending the district of Fontvieille. There are two ports in Monaco, Port Hercules and Port Fontvieille. Monaco's only natural resource is fishing; with almost the entire country being an urban area, Monaco lacks any sort of commercial agriculture industry. There is a neighboring French port called Cap d'Ail that is near Monaco. Monaco exhibits a wide range of architecture, but the principality's signature style, particularly in Monte Carlo, is that of the Belle Epoque. It finds its most florid expression in the 1878–9 Casino and the Salle Garnier created by Charles Garnier and Jules Dutrou. Decorative elements including turrets, balconies, pinnacles, multi-coloured ceramics and caryatids and borrowed and blended to create a picturesque fantasy of pleasure and luxury, and an alluring expression of how Monaco sought, and still seeks, to portray itself. This capriccio of French, Italian and Spanish elements was incorporated into hacienda villas and apartments. Following major development in the 1970s, Prince Rainier III banned high-rise development in the principality. However, his successor, Prince Albert II, overturned this Sovereign Order. In recent years the accelerating demolition of Monaco's architectural heritage, including its single-family villas, has created dismay. The principality currently has no heritage protection legislation. Monaco has a hot-summer Mediterranean climate (Köppen climate classification: Csa), which is influenced by oceanic climate and humid subtropical climate. As a result, it has warm, dry summers and mild, rainy winters. Cool and rainy interludes can interrupt the dry summer season, the average length of which is also shorter. Summer afternoons are infrequently hot (indeed, temperatures greater than 30 °C or 86 °F are rare) as the atmosphere is temperate because of constant sea breezes. On the other hand, the nights are very mild, due to the fairly high temperature of the sea in summer. Generally, temperatures do not drop below 20 °C (68 °F) in this season. In the winter, frosts and snowfalls are extremely rare and generally occur once or twice every ten years. On February 27, 2018, both Monaco and Monte Carlo experienced snowfall. Monaco has the world's second-highest GDP nominal per capita at US$153,177, GDP PPP per capita at $132,571 and GNI per capita at $183,150. It also has an unemployment rate of 2%, with over 48,000 workers who commute from France and Italy each day. According to the CIA World Factbook, Monaco has the world's lowest poverty rate and the highest number of millionaires and billionaires per capita in the world. For the fourth year in a row, Monaco in 2012 had the world's most expensive real estate market, at $58,300 per square metre. One of Monaco's main sources of income is tourism. Each year many foreigners are attracted to its casino and pleasant climate. It has also become a major banking center, holding over €100 billion worth of funds. Banks in Monaco specialize in providing private banking, asset and wealth management services. The principality has successfully sought to diversify its economic base into services and small, high-value-added, non-polluting industries, such as cosmetics and biothermics. Monaco is not a member of the European Union. However, it is very closely linked via a customs union with France and, as such, its currency is the same as that of France, the euro. 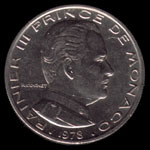 Before 2002, Monaco minted its own coins, the Monegasque franc. Monaco has acquired the right to mint euro coins with Monegasque designs on its national side. The plan for casino gambling was drafted during the reign of Florestan I in 1846. Under Louis-Philippe's petite-bourgeois regime, however, a dignitary such as the Prince of Monaco was not allowed to operate a gambling house. All this changed in the dissolute Second French Empire under Napoleon III. The House of Grimaldi was in dire need of money. The towns of Menton and Roquebrune, which had been the main sources of income for the Grimaldi family for centuries, were now accustomed to a much improved standard of living and lenient taxation thanks to Sardinian intervention and clamored for financial and political concession, even for separation. The Grimaldi family hoped the newly legal industry would help alleviate the difficulties they faced, above all the crushing debt the family had incurred, but Monaco's first casino would not be ready to operate until after Charles III assumed the throne in 1856. The grantee of the princely concession (licence) was unable to attract enough business to sustain the operation and, after relocating the casino several times, sold the concession to French casino magnates François and Louis Blanc for 1.7 million francs. The Blancs had already set up a highly successful casino (in fact the largest in Europe) in Bad-Homburg in the Grand Duchy of Hesse-Homburg, a small German principality comparable to Monaco, and quickly petitioned Charles III to rename a depressed seaside area known as "Les Spelegures (Den of Thieves)" to "Monte Carlo (Mount Charles)." They then constructed their casino in the newly dubbed "Monte Carlo" and cleared out the area's less-than-savory elements to make the neighborhood surrounding the establishment more conducive to tourism. The Blancs opened Le Grand Casino de Monte Carlo in 1858 and the casino benefited from the tourist traffic the newly built French railway system created. Due to the combination of the casino and the railroads, Monaco finally recovered from the previous half-century of economic slump and the principality's success attracted other businesses. In the years following the casino's opening, Monaco founded its Oceanographic Museum and the Monte Carlo Opera House, 46 hotels were built and the number of jewelers operating in Monaco increased by nearly five-fold. In an apparent effort to not overtax citizens, it was decreed that the Monégasque citizens were prohibited from entering the casino unless they were employees. By 1869, the casino was making such a vast sum of money that the principality could afford to end tax collection from the Monegasques—a master stroke that was to attract affluent residents from all over Europe in a policy that still exists today. Today, Société des bains de mer de Monaco, which owns Le Grand Casino, still operates in the original building that the Blancs constructed and has since been joined by several other casinos, including the Le Casino Café de Paris, the Monte Carlo Sporting Club & Casino and the Sun Casino. The most recent addition in Monte Carlo is the Monte Carlo Bay Casino, which sits on 4 hectares of the Mediterranean Sea and, among other things, offers 145 slot machines, all equipped with "ticket-in, ticket-out" (TITO); it is the first Mediterranean casino to use this technology. Monaco has high social-insurance taxes, payable by both employers and employees. The employers' contributions are between 28% and 40% (averaging 35%) of gross salary, including benefits, and employees pay a further 10% to 14% (averaging 13%). Monaco has never levied income tax on individuals, and foreigners are thus able to use it as a "tax haven" from their own country's taxes, because as an independent country, Monaco is not obligated to pay taxes to other countries. The absence of a personal income tax in the principality has attracted to it a considerable number of wealthy "tax refugee" residents from European countries who derive the majority of their income from activity outside Monaco; celebrities such as Formula One drivers attract most of the attention, but the vast majority of them are lesser-known business people. However, due to a bilateral treaty with France, French citizens are still required to pay applicable income and wealth taxes to the French state even if they are resident in Monaco, and the principality also actively discourages the registration of foreign corporations, charging a 33 per cent corporation tax on profits unless it can be shown that at least three-quarters of the turnover has been generated within its borders. Unlike classic tax havens, it does not offer offshore financial services. In 1998 the Centre for Tax Policy and Administration, part of the Organisation for Economic Co-operation and Development (OECD), issued a first report on the consequences of the financial systems of known tax havens. Monaco did not appear in the list of these territories until 2004, when the OECD became indignant regarding the Monegasque situation and denounced it in a report, as well as Andorra, Liechtenstein, Liberia, and the Marshall Islands, underlining its lack of co-operation regarding financial information disclosure and availability. However, Monaco went on to overcome the objections of the OECD and was thus removed from its "grey list" of unco-operative jurisdictions. In 2009 it went a step farther and secured a place on its "white list", after signing twelve information exchange treaties with other jurisdictions. In 2000, the Financial Action Task Force on Money Laundering (FATF) stated: "The anti-money laundering system in Monaco is comprehensive. However, difficulties have been encountered with Monaco by countries in international investigations on serious crimes that appear to be linked also with tax matters. In addition, the FIU of Monaco (SICCFIN) suffers a great lack of adequate resources. The authorities of Monaco have stated that they will provide additional resources to SICCFIN." Also in 2000, a report by the French parliamentarians Arnaud Montebourg and Vincent Peillon stated that Monaco had relaxed policies with respect to money laundering, including within its casino, and that the government of Monaco had been placing political pressure on the judiciary, so that alleged crimes were not being properly investigated. In its Progress Report of 2005, the International Monetary Fund (IMF) identified Monaco, along with 36 other territories, as a tax haven, but in its FATF report of the same year it took a positive view of Monaco's measures against money-laundering. The Council of Europe also decided to issue reports naming tax havens. Twenty-two territories, including Monaco, were thus evaluated between 1998 and 2000 on a first round. Monaco was the only territory that refused to perform the second round, between 2001 and 2003, whereas the 21 other territories had planned implementing the third and final round, planned between 2005 and 2007. Of interest to numismatists, in Monaco the euro was introduced in 2002, having been preceded by the Monégasque franc. In preparation for this date, the minting of the new euro coins started as early as 2001. Like Belgium, Finland, France, the Netherlands, and Spain, Monaco decided to put the minting date on its coins. This is why the first euro coins from Monaco have the year 2001 on them, instead of 2002, like the other countries of the Eurozone that decided to put the year of first circulation (2002) on their coins. Three different designs were selected for the Monégasque coins. However, in 2006, the design was changed after the death of ruling Prince Rainier to have the effigy of Prince Albert. Monaco also mints collectors' coins, with face value ranging from €5 to €100. These coins are a legacy of an old national practice of minting silver and gold commemorative coins. Unlike normal issues, these coins are not legal tender in all the Eurozone. The same practice concerning commemorative coins is exercised by all eurozone countries. Monaco's total population was 38,400 in 2015. Monaco's population is unusual in that the native Monégasques are a minority in their own country: the largest group are French nationals at 28.4%, followed by Monégasque (21.6%), Italian (18.7%), British (7.5%), Belgian (2.8%), German (2.5%), Swiss (2.5%) and U.S. nationals (1.2%). Citizens of Monaco, whether born in the country or naturalized, are called Monégasque. Monaco has the world's highest life expectancy at nearly 90 years. The official language of Monaco is French, while Italian is spoken by the principality's sizeable community from Italy. Thus, French and Italian supplants Monegasque, the vernacular language of the Monegasques, which is not recognized as an official language; English is used by American, British, Anglo-Canadian, and Irish residents. The Grimaldi, princes of Monaco, have Ligurian origin, thus, the traditional national language is Monégasque, a variety of Ligurian, now spoken by only a minority of residents and as a common second language by many native residents. In Monaco-Ville, street signs are printed in both French and Monégasque. The official religion is the Catholic Church, with freedom of other religions guaranteed by the constitution. There are five Catholic parish churches in Monaco and one cathedral, which is the seat of the archbishop of Monaco. The diocese, which has existed since the mid-19th century, was raised to a non-metropolitan archbishopric in 1981 as the Archdiocese of Monaco and remains exempt (i.e. immediately subject to the Holy See). The patron saint is Saint Devota. Christians comprise a total of 82.6% of Monaco's population. According to Monaco 2012 International Religious Freedom Report, Protestants are the second-largest group after Roman Catholics. There are various Evangelical Protestant communities that gather periodically. The report states that there are two Protestant churches, including the local Anglican church and a Reformed church. There is one Anglican church (St. Paul's Church), located in the Avenue de Grande Bretagne in Monte Carlo. In 2007 this had a formal membership of 135 Anglicans resident in the principality, but was also serving a considerably larger number of Anglicans temporarily in the country, mostly as tourists. The church site also accommodates an English-language library of over 3,000 books. The church is part of the Anglican Diocese in Europe. Monaco's 2012 International Religious Freedom Report states that there is one Greek Orthodox Church in Monaco. The Association Culturelle Israélite de Monaco (founded in 1948) is a converted house containing a synagogue, a community Hebrew school, and a kosher food shop, located in Monte Carlo. The community mainly consists of retirees from Britain (40%) and North Africa. Two-thirds of the Jewish population is Sephardic, mainly from North Africa, while the other third is Ashkenazi. The Muslim population of Monaco consists of about 280 people, most of whom are exclusively residents, not citizens. The majority of the Muslim population of Monaco are Arabs, though there are smaller Turkish minorities as well. Monaco does not have any official mosques. There is a mosque in nearby Beausoleil, France, within easy walking distance of Monaco. Since 1929, the Monaco Grand Prix has been held annually in the streets of Monaco. It is widely considered to be one of the most prestigious automobile races in the world. The erection of the Circuit de Monaco takes six weeks to complete and the removal after the race takes another three weeks. The circuit is incredibly narrow and tight and its tunnel, tight corners and many elevation changes make it perhaps the most demanding Formula One track. Driver Nelson Piquet compared driving the circuit to "riding a bicycle around your living room". Despite the challenging nature of the course it has only had one fatality, Lorenzo Bandini, who crashed, burned and died three days later from his injuries in 1967. Two other drivers had lucky escapes after they crashed into the harbour, the most famous being Alberto Ascari in the 1955 Monaco Grand Prix and Paul Hawkins, during the 1965 race. Since 1911 part of the Monte Carlo Rally has been held in the principality, originally held at the behest of Prince Albert I. Like the Grand Prix, the rally is organized by Automobile Club de Monaco. It has long been considered to be one of the toughest and most prestigious events in rallying and from 1973 to 2008 was the opening round of the World Rally Championship (WRC). From 2009 until 2011, the rally served as the opening round of the Intercontinental Rally Challenge. The rally returned to the WRC calendar in 2012 and has been held annually since. Due to Monaco's limited size, all but the ending of the rally is held on French territory. Monaco hosts two major football teams in the principality: the men's football club, AS Monaco FC, and the women's football club, OS Monaco. AS Monaco plays at the Stade Louis II and competes in Ligue 1 the first division of French football. The club is historically one of the most successful clubs in the French league, having won Ligue 1 eight times (most recently in 2016–17) and competed at the top level for all but six seasons since 1953. The club reached the 2004 UEFA Champions League Final, with a team that included Dado Pršo, Fernando Morientes, Jérôme Rothen, Akis Zikos and Ludovic Giuly, but lost 3–0 to Portuguese team FC Porto. Many international stars have played for the club, such as French World Cup-winners Thierry Henry, Fabien Barthez, David Trezeguet, and Kylian Mbappe. The Stade Louis II also played host to the annual UEFA Super Cup (1998–2012) between the winners of the UEFA Champions League and the UEFA Europa League. The women's team, OS Monaco, competes in the women's French football league system. The club currently plays in the local regional league, deep down in the league system. It once played in the Division 1 Féminine, in the 1994–95 season, but was quickly relegated. Current France women's national football team goalkeeper Sarah Bouhaddi had a short stint at the club before going to the INF Clairefontaine academy. The Monaco national football team represents the nation in association football and is controlled by the Monégasque Football Federation, the governing body for football in Monaco. However, Monaco is one of only three sovereign states in Europe (along with the Vatican City) that is not a member of UEFA and so does not take part in any UEFA European Football Championship or FIFA World Cup competitions. The team plays its home matches in the Stade Louis II. Monaco's national rugby team, as of April 2019, is 101st in the World Rugby Rankings. The Monte-Carlo Masters is held annually in neighbouring Roquebrune-Cap-Martin, France, as a professional tournament for men as part of tennis's ATP Masters Series. The tournament has been held since 1897. Golf's Monte Carlo Open was also held at the Monte Carlo Golf Club at Mont Agel in France between 1984 and 1992. Monaco has also competed in the Olympic Games, although, no athlete from Monaco has ever won an Olympic medal. The 2009 Tour de France, the world's premier cycle race, started from Monaco with a 15-kilometre (9 mi) closed-circuit individual time trial starting and finishing there on the first day, and the 182-kilometre (113 mi) second leg starting there on the following day and ending in Brignoles, France. Monaco also stage part of the Global Champions Tour (International Show-jumping). Acknowledged as the most glamorous of the series, Monaco will be hosting the world's most celebrated riders, including Monaco's own Charlotte Casiraghi, in a setting facing out over the world's most beautiful yachts, and framed by the Port Hercules and Prince's palace. In 2009, the Monaco stage of the Global Champions tour took place between 25–27 June. The Monaco Ironman 70.3 triathlon race is an annual event with over 1,000 athletes competing and attracts top professional athletes from around the world. The race includes a 1.9-kilometre (1.2-mile) swim, 90-kilometre (56-mile) bike ride and 21.1-kilometre (13.1-mile) run. Since 1993, the headquarters of the International Association of Athletics Federations, the world governing body of athletics, is located in Monaco. An IAAF Diamond League meet is annually held at Stade Louis II. A municipal sports complex, the Rainier III Nautical Stadium in the Port Hercules district consists of a heated saltwater Olympic-size swimming pool, diving boards and a slide. The pool is converted into an ice rink from December to March. Monaco has an opera house, a symphony orchestra and a classical ballet company. Monaco has a national museum of contemporary visual art at the New National Museum of Monaco. The country also has numerous works of public art, statues, museums, and memorials (see list of public art in Monaco). Monaco has ten state-operated schools, including: seven nursery and primary schools; one secondary school, Collège Charles III; one lycée that provides general and technological training, Lycée Albert 1er; and one lycée that provides vocational and hotel training, Lycée technique et hôtelier de Monte-Carlo. There are also two grant-aided denominational private schools, Institution François d'Assise Nicolas Barré and Ecole des Sœurs Dominicaines, and one international school, the International School of Monaco, founded in 1994. There is one university located in Monaco, namely the International University of Monaco (IUM), an English-language school specializing in business education and operated by the Institut des hautes études économiques et commerciales (INSEEC) group of schools. The flag of Monaco is one of the world's oldest national flag designs. The flag of Monaco, which Monaco adopted in April 4, 1881, is almost identical to the flag of Indonesia (adopted by Indonesia in August 17, 1945) except for the ratio of height to width. The Monaco-Monte Carlo station is served by the SNCF, the French national rail system. The Monaco Heliport provides helicopter service to the closest airport, Côte d'Azur Airport in Nice, France. The Monaco bus company (CAM) covers all the tourist attractions, museums, Exotic garden, business centres, and the Casino or the Louis II Stadium. Monaco is so old that it has outlived many of the nations and institutions that it has had relations with. The Crown of Aragon and Republic of Genoa became a part of other countries, as did the Kingdom of Sardinia. Honoré II, Prince of Monaco secured recognition of his independent sovereignty from Spain in 1633, and then from Louis XIII of France by the Treaty of Péronne (1641). Monaco made a special agreement with France in 1963 in which French customs laws apply in Monaco and its territorial waters. Monaco uses the euro but is not a member of the European Union. Monaco shares a 6-kilometre (3.7-mile) border with France but also has about 2-kilometre (1.2-mile) of coastline with the Mediterranean sea. Two important agreements that support Monaco's independence from France include the Franco-Monégasque Treaty of 1861 and the French Treaty of 1918 (see also Kingdom of Sardinia). The United States CIA Factbook records 1419 as the year of Monaco's independence. There are two embassies in Monaco: those of France and Italy. There are about another 30 or so consulates. By the 21st century Monaco maintained embassies in Belgium (Brussels), France (Paris), Germany (Berlin), the Vatican, Italy (Rome), Spain (Madrid), Switzerland (Bern), United Kingdom (London) and the United States (Washington). In the year 2000 nearly two-thirds of the residents of Monaco were foreigners. In 2015 the immigrant population was estimated at 60% However, it is reported to be difficult to gain citizenship in Monaco, or at least in relative number there is not many people who do so. In 2015 an immigration rate of about 4 people per 1,000 was noted, which works out to something like 100–150 people a year. The population of Monaco went from 35,000 in 2008 to 36,000 in 2013, and of that about 20 percent were native Monegasque (see also Nationality law of Monaco). A recurring issue Monaco encounters with other countries is the attempt by foreign nationals to use Monaco to avoid paying taxes in their own country. Monaco actually collects a number of taxes including a 20% VAT and 33% on companies unless they make over 75% of their income inside Monaco. Monaco does not allow dual citizenship, but does have multiple paths to citizenship including by declaration and naturalization. In many cases the key issue for obtaining citizenship, rather than attaining residency in Monaco, is the person's ties to their departure country. For example, French citizens must still pay taxes to France even if they live full-time in Monaco unless they resided in the country before 1962 for at least 5 years. In the early 1960s there was some tension between France and Monaco over taxation. There are no border formalities entering or leaving to France. For visitors a souvenir passport stamp is available on request at Monaco's tourist office. This is located on the far side of the gardens that face the Casino. ^ For further information, see languages of Monaco. ^ Percentage based on a 38,000 person population. ^ Monetary agreement with the EU to issue euros. ^ Although not a contracting party to the Schengen Agreement, has an open border with France and Schengen laws are administered as if it were a part of France. ^ Through an agreement with France. ^ Through an agreement with France. Part of the EU Customs territory, administered as part of France. ^ Also part of the EU excise territory. ^ Through an agreement with France. Administered as a part of France for taxation purposes. ^ "United-Nations data, country profile". Retrieved 29 October 2013. ^ "Constitution of Monaco (art. 78): The territory of the Principality forms a single commune.". Retrieved 29 October 2013. ^ "Constitution de la Principauté". Council of Government. Archived from the original on 22 July 2011. Retrieved 22 May 2008. ^ "Monaco Constitution Chapter 1, Article 9". Retrieved 18 July 2017. ^ a b "Monaco en Chiffres" (PDF). Archived from the original on 15 November 2009. Retrieved 15 November 2009. CS1 maint: BOT: original-url status unknown (link), Principauté de Monaco. Retrieved 7 June 2010. ^ a b c "Monaco Statistics / IMSEE — Monaco IMSEE" (in French). Imsee.mc. Retrieved 3 August 2016. ^ a b "National Accounts Main Aggregates Database". United Nations Statistics Division. Retrieved 8 October 2012. ^ "UNdata - country profile - Monaco". data.un.org. ^ "What side of the road do people drive on?". Whatsideoftheroad.com. Retrieved 28 May 2012. ^ "One in Three is a Millionaire in Monaco: Study". ndtv.com. ^ In fact Francesco Grimaldi, who captured the Rock on the night of 8 January 1297, was forced to flee Monaco only four years after the fabled raid, never to come back. The Grimaldi family was not able to permanently secure their holding until 1419 when they purchased Monaco, along with two neighbouring villages, Menton and Roquebrune. Source: Edwards, Anne (1992). The Grimaldis of Monaco: The Centuries of Scandal – The Years of Grace. William Morrow. ISBN 978-0-688-08837-8. ^ "Monte Carlo : The Birth of a Legend". SBM Group. Retrieved 23 August 2013. ^ "History of Monaco". Monaco-montecarlo.com. Retrieved 28 May 2012. ^ a b c "Monaco". State.gov. 16 November 2011. Retrieved 28 May 2012. ^ "Monaco Life". Monaco Life. 26 July 2011. Retrieved 28 May 2012. ^ "Monaco history". Visitmonaco.com. Retrieved 28 May 2012. ^ "Histoire de Monaco, famille Grimaldi | Monte-Carlo SBM". Fr.montecarlosbm.com. Retrieved 28 May 2012. ^ a b "The Mediterranean Empire of the Crown of Aragon". explorethemed.com. ^ "Monaco – The Principality of Monaco". Monaco.me. Retrieved 28 May 2012. ^ a b c "The History Of Monaco". Monacoangebote.de. Archived from the original on 16 January 2013. Retrieved 28 May 2012. ^ "Monaco: History". .monaco.mc. Retrieved 28 May 2012. ^ a b c "Important dates – Monaco Monte-Carlo". Monte-carlo.mc. Retrieved 28 May 2012. ^ a b "24 X 7". Infoplease.com. Retrieved 28 May 2012. ^ "History of the Principality of Monaco – Access Properties Monaco – Real-estate Agency Monaco". Access Properties Monaco. Retrieved 28 May 2012. ^ "History of Monaco". Monacodc.org. Retrieved 28 May 2012. ^ "Histoire de la Principauté – Monaco – Mairie de Monaco – Ma ville au quotidien – Site officiel de la Mairie de Monaco". Monaco-mairie.mc. Archived from the original on 3 June 2012. Retrieved 28 May 2012. ^ "MONACO". Tlfq.ulaval.ca. Retrieved 28 May 2012. ^ "Monaco timeline". BBC News. 28 March 2012. Retrieved 28 May 2012. ^ "Monaco Politics, government, and taxation". Nationsencyclopedia.com. Retrieved 28 May 2012. ^ "Monaco History, History of Monaco – Allo' Expat Monaco". Monaco.alloexpat.com. Archived from the original on 27 May 2012. Retrieved 28 May 2012. ^ "Monaco histoire". Tmeheust.free.fr. Retrieved 28 May 2012. ^ "Monaco – Principality of Monaco – Principauté de Monaco – French Riviera Travel and Tourism". Nationsonline.org. Retrieved 28 May 2012. ^ "Monaco royals will not be at Cannes 'Grace of Monaco' premiere – Page Six". Page Six. ^ a b c "CIA – The World Factbook". Cia.gov. Retrieved 22 March 2012. ^ "History of Monaco. Monaco chronology". Europe-cities.com. Archived from the original on 16 January 2013. Retrieved 28 May 2012. ^ "Monaco Military 2012, CIA World Factbook". Theodora.com. Retrieved 28 May 2012. ^ "Monaco Royal Family". Yourmonaco.com. Retrieved 28 May 2012. ^ "Biography – Prince's Palace of Monaco". Palais.mc. Retrieved 28 May 2012. ^ "History of Monaco, Grimaldi family". Monte-Carlo SBM. Retrieved 28 May 2012. ^ Williams, Carol J. (27 August 2015). "More than seven decades later, Monaco apologises for deporting Jews". Los Angeles Times. Retrieved 31 August 2015. ^ a b "Monaco land reclamation project gets green light". rivieratimes.com. Archived from the original on 4 September 2015. Retrieved 8 August 2015. ^ a b Colin Randall. "Monaco €1 billion reclamation plan for luxury homes district". thenational.ae. ^ a b c "Monaco's New Marina, in 10 Years from now". mooringspot.com. ^ "Monaco". State.gov. 16 November 2011. Retrieved 22 March 2012. ^ "Politics". Monaco-IQ. Retrieved 28 May 2012. ^ a b "History « Consulate General of Monaco". Monaco-consulate.com. Archived from the original on 10 June 2012. Retrieved 28 May 2012. ^ "Monaco: Government". Globaledge.msu.edu. 4 October 2004. Retrieved 28 May 2012. ^ a b c "Monaco". Freedom House. Retrieved 28 May 2012. ^ a b "Deux listes pour une mairie". Monaco Hebdo. ^ Mairie de Monaco. "Les élus". La Mairie de Monaco. Archived from the original on 15 May 2013. Retrieved 15 April 2013. ^ "Le Conseil Communal – Mairie de Monaco". La Mairie de Monaco. Archived from the original on 16 January 2013. Retrieved 15 April 2013. ^ "Élections communales à Monaco: vingt-quatre candidats en lice". nicematin.com. ^ Robertson, Alex (1 February 2012). "The 10 smallest countries in the world". Gadling.com. Retrieved 28 May 2012. ^ "Marinas, Ports & Anchorages in Monaco". Worldmarineguide.com. Archived from the original on 24 December 2011. Retrieved 28 May 2012. ^ "Population Density". Geography.about.com. Retrieved 28 May 2012. ^ "About Monaco". JCI EC 2013. 3 March 2010. Retrieved 28 May 2012. ^ "West 8 Urban Design & Landscape Architecture / projects / Cape Grace, Monaco". West8.nl. Retrieved 28 May 2012. ^ "The new Monaco skyline". CityOut Monaco. 17 March 2010. Archived from the original on 11 October 2011. Retrieved 28 May 2012. ^ Samuel, Henry (28 December 2009). "Monaco to build into the sea to create more space". The Daily Telegraph. London. Retrieved 28 May 2012. ^ a b "Prince speaks of future developments". CityOut Monaco. 29 December 2009. Archived from the original on 11 October 2011. Retrieved 28 May 2012. ^ "Monaco – Location and size". Nationsencyclopedia.com. 2 July 2011. Retrieved 28 May 2012. ^ "Dictionary – Definition of Larvotto". Websters-online-dictionary.org. 1 March 2008. Archived from the original on 30 May 2013. Retrieved 28 May 2012. ^ "Tourist Board official website". Visitmonaco.com. Retrieved 28 May 2012. ^ a b Nom (obligatoire). "Extension en mer: Fontvieille ou Larvotto ?". Monacohebdo.mc. Retrieved 12 March 2013. ^ "Monaco Commune". Statoids.com. Retrieved 28 May 2012. ^ a b c d e "Plan General De La Principaute De Monaco" (PDF). Archived from the original (PDF) on 28 May 2012. Retrieved 28 May 2012. ^ "Monaco Statistiques Pocket" (in French). Gouv.mc. Retrieved 6 September 2012. ^ "Monaco: une extension en mer au Larvotto de nouveau à l'étude". Nice-Matin. 13 June 2012. Archived from the original on 16 January 2013. Retrieved 12 March 2013. ^ "Seizing the Future". google.com. ^ "Security in Monaco". Monte-carlo.mc. 13 May 2012. Retrieved 28 May 2012. ^ "Division de Police Maritime et Aéroportuaire" (in French). Gouv.mc. 16 August 1960. Retrieved 28 May 2012. ^ "The Palace Guards – Prince's Palace of Monaco". Palais.mc. 27 January 2011. Archived from the original on 23 April 2012. Retrieved 28 May 2012. ^ "Compagnie des Carabiniers du Prince" (in French). Gouv.mc. Retrieved 12 March 2013. ^ "Monaco Districts". Monaco.me. Retrieved 22 March 2012. ^ a b Monaco, Government of. ""monaco statistics pocket" / Publications / IMSEE - Monaco IMSEE". Monacostatistics.mc. ^ "Geography and Map of Monaco". mapofeurope.com. Retrieved 11 September 2014. ^ a b "Monaco's Areas / Monaco Official Site". Visitmonaco.com. Retrieved 12 March 2013. ^ Highest point at ground level (Access to Patio Palace on D6007) "Monaco Statistics pocket – Edition 2014" (PDF). Monaco Statistics – Principality of Monaco. ^ "Highest and lowest points in countries islands oceans of the world". Worldatlas.com. Retrieved 6 September 2012. ^ "Monaco". Google Maps. Retrieved 6 September 2012. ^ a b Robert BOUHNIK (19 October 2010). "Home > Files and Reports > Public works > 2002 Archives — Extension of "La Condamine Port"(Gb)". Cloud.gouv.mc. Retrieved 22 March 2012. ^ a b c d Samuel, Henry (28 December 2009). "Monaco to build into the sea to create more space". The Daily Telegraph. London. Retrieved 22 March 2012. ^ Robert Bouhnik (19 October 2010). "Home > Files and Reports > Public works(Gb)". Cloud.gouv.mc. Archived from the original on 20 December 2012. Retrieved 22 March 2012. ^ "Royal Opinions – Social, Political, & Economical Affairs of Monaco". Royalopinions.proboards.com. Retrieved 22 March 2012. ^ "Monaco remet sur le tapis le projet d'extension en mer". Econostrum.info. Retrieved 22 March 2012. ^ a b "Presentation". Ports-monaco.com. 1 January 2006. Archived from the original on 20 June 2012. Retrieved 22 March 2012. ^ "Prince Albert of Monaco interview on fishing issues". YouTube. 30 June 2011. Retrieved 22 March 2012. ^ Fair, Vanity. "La tour Odéon, l'histoire d'un chantier dont les malheurs ont atteint des sommets". Archived from the original on 13 August 2017. Retrieved 7 August 2016. ^ "Snow in Casino Square!". Monte Carlo Daily Photo. 19 December 2009. Retrieved 6 September 2012. ^ "Monaco – Weather / Monaco Official Site". Visitmonaco.com. Retrieved 6 September 2012. ^ "In Pictures: French Riviera hit by snowfall". www.thelocal.fr. 26 February 2018. ^ "Monaco (99)" (PDF). Fiche Climatologique: Statistiques 1981–2010 et records (in French). Meteo France. Archived from the original (PDF) on 27 February 2018. Retrieved 26 February 2018. ^ "Climatological information for Monaco" (in French). Monaco Tourist Authority. Archived from the original on 2 March 2018. Retrieved 2 March 2018. ^ "Monaco, Monaco – Climate data". Weather Atlas. Retrieved 15 March 2017. ^ "Business And Economy". Monacodc.org. Retrieved 22 March 2012. ^ "Central Intelligence Agency". Cia.gov. Retrieved 22 March 2012. ^ a b "Monaco Economy 2012, CIA World Factbook". Theodora.com. Retrieved 28 May 2012. ^ Alleyne, Richard (4 October 2007). "Prince Albert: We want more for Monaco". The Daily Telegraph. London. Retrieved 22 March 2012. ^ a b "Piers Morgan's full Monte! The tax haven where the jewels are real and the orgasms are fake". Daily Mail. London. 31 January 2009. Retrieved 28 May 2012. ^ Katya Wachtel (28 March 2012). "The Wealth Report 2012" (PDF). Citi Private Bank. Retrieved 6 March 2013. ^ Robert Frank (28 March 2012). "The Most Expensive Real-Estate in the World". The Wall Street Journal. Retrieved 6 March 2013. ^ Julie Zeveloff (7 March 2013). "Here Are The World's Most Expensive Real Estate Markets". Business Insider. Retrieved 7 March 2013. ^ "Monaco: Economy >> globalEDGE: Your source for Global Business Knowledge". Globaledge.msu.edu. Retrieved 22 March 2012. ^ Robert BOUHNIK (19 December 2011). "Home > Files and Reports > Economy(Gb)". Cloud.gouv.mc. Archived from the original on 11 July 2012. Retrieved 22 March 2012. ^ "CIA – The World Factbook". Cia.gov. Retrieved 28 May 2012. ^ "History of Monte Carlo Casino". Craps Dice Control. Retrieved 28 April 2012. ^ "Rick Steves' Europe: Little Europe: San Marino, Monaco, Vatican City, Liechtenstein, and Andorra". Archived from the original on 14 November 2012. Retrieved 27 April 2012. ^ "Rick Steves Europe: Little Europe: Five Microcountries". Ricksteves.com. Retrieved 28 May 2012. ^ Keremcan (23 August 2016). "Why Do Monaco Laws Forbid Locals from Gambling?". Gambling Herald. Retrieved 7 December 2017. ^ Porter, D.; D. Prince (2006). Frommer's Provence and the Riviera (Fifth. ed.). Wiley Publishing Inc.
^ "Monaco Personal Taxation". Retrieved 28 May 2010. ^ "Monaco might not charge residents income tax, but it's no tax haven". The Daily Telegraph. London. 16 February 2010. Retrieved 28 May 2012. ^ "Monaco Country and Foreign Investment Regime". Lowtax.net. Retrieved 22 March 2012. ^ David Leigh (10 July 2006). "The tax haven that today's super rich City commuters call home". The Guardian. London. Retrieved 28 May 2012. ^ a b c "France and Monaco". U.S. Department of State. ^ "Obscure Tax Havens". Escapeartist.com. Retrieved 28 May 2012. ^ "Review to Identify Non-Cooperative Countries or Territories: Increasing the Worldwide Effectiveness of Anti-Money Laundering Measures" (PDF). Paris: Financial Action Task Force on Money Laundering. 22 June 2000. p. 8. Archived (PDF) from the original on 26 July 2011. Retrieved 23 May 2009. ^ "Assemblee-Nationale report". Assemblee-nationale.fr. 27 July 1987. Retrieved 28 August 2010. ^ "Monaco Euro Coins". Eurocoins.co.uk. 1 January 2002. Retrieved 11 May 2017. ^ "ECB: Monaco". Ecb.int. Retrieved 22 March 2012. ^ "Monaco Coins". Monaco.me. 1 January 2002. Retrieved 22 March 2012. ^ a b "Monaco – The Museum of Stamps and Coins". Visitmonaco.com. Retrieved 22 March 2012. ^ "Monegasque Gold Coins – Monaco". Taxfreegold.co.uk. Retrieved 22 March 2012. ^ Siam Internet Co., Ltd. "Monaco Euro Coins – daily updated collectors value for every single coin". euro-coins.tv. Retrieved 22 March 2012. ^ "Buy Gold Coins – Rare Gold Coins". Monacorarecoins.com. Retrieved 22 March 2012. ^ "Monaco Gold Coins -World Gold Coins". Williamyoungerman.com. Archived from the original on 24 February 2009. Retrieved 22 March 2012. ^ "Unique Facts About Europe: Euro". Sheppardsoftware.com. Retrieved 28 May 2012. ^ "Monaco Statistics office". Monacostatistics.mc. Retrieved 3 August 2017. ^ "General Population Census 2008: Population Recensee et Population Estimee" (PDF) (in French). Government of the Principality of Monaco. 2008. Archived from the original (PDF) on 14 June 2011. Retrieved 7 October 2011. ^ "Culture of Monaco". Everyculture.com. Retrieved 6 September 2012. ^ "CIA World Factbook, Monaco". Cia.gov. Retrieved 28 May 2012. ^ "International Rankings of Monaco - 2018". Theodora.com. Retrieved 4 July 2018. ^ "Society". Monaco-IQ. Retrieved 6 September 2012. ^ "Principality of Monaco – Monaco Monte-Carlo". Monte-carlo.mc. Retrieved 6 September 2012. ^ a b c Joshua Project (2018). "Ethnic People Groups of Monaco". Joshua Project. Retrieved 21 December 2018. ^ "Saint Paul's Church, Monte-Carlo". stpaulsmonaco.com. ^ "Synagogues in Monte Carlo – Shuls in Monte Carlo – Jewish Temples in Monte Carlo". Mavensearch.com. 6 July 2007. Retrieved 28 May 2012. ^ Simon Rogers. "Muslim populations by country: how big will each Muslim population be by 2030?". the Guardian. ^ "Islam in Monaco". muslimpopulation.com. ^ "Islam in Monaco". islamicpopulation.com. ^ a b c "Monaco Grand Prix". 3 March 2012. Archived from the original on 3 March 2012. ^ liam mcmurray, lesley kazan-pinfield. "Monaco Formula One Grand Prix". Monaco-f1grandprix.com. Retrieved 6 September 2012. ^ "Hulme Wins Monte Carlo; Bandini Hurt", Sheboygan Press, 8 May 1967, Page 13. ^ Federall. "ACM – Automobile Club de Monaco". Acm.mc. Archived from the original on 9 November 2012. Retrieved 6 September 2012. ^ "Rallye Monte Carlo Historique". The Daily Telegraph. London. Retrieved 6 September 2012. ^ "2012 World Rally Championship events announced". wrc.com. 27 April 2012. Retrieved 28 May 2012. ^ "Men's Rankings". World Rugby. 14 April 2019. Retrieved 22 April 2019. ^ "Tennis – Tournament Fact Sheet". Monte-Carlo Rolex Masters. 30 September 2011. Retrieved 28 May 2012. ^ "Tour de France 2008 – Grand start 2009". Letour.com. Archived from the original on 16 January 2013. Retrieved 28 May 2012. ^ "Monte-Carlo". Global Champions Tour. Retrieved 6 September 2012. ^ "Headquarters". iaaf.org. 10 June 1994. Archived from the original on 5 June 2012. Retrieved 28 May 2012. ^ "Inside IAAF Intro". iaaf.org. Archived from the original on 4 June 2012. Retrieved 28 May 2012. ^ "Usain BOLT and Yelena ISINBAEVA for Herculis". Diamondleague-monaco.com. 30 April 2012. Retrieved 28 May 2012. ^ a b "Rainer III Nautical Stadium". Marie de Monaco – Rainier III Nautical Stadium. Marie de Monaco. Archived from the original on 17 May 2013. Retrieved 25 May 2013. ^ "Monte-Carlo Cup" (PDF). Solar1races.com. Retrieved 3 August 2017. ^ a b "Culture of Monaco". everyculture.com. ^ "Collège Charles III". College-charles3.mc. Archived from the original on 11 May 2011. Retrieved 28 August 2010. ^ "Lycée Albert 1er". Lycee-albert1er.mc. Archived from the original on 22 July 2011. Retrieved 28 August 2010. ^ "Lycée technique et hôtelier de Monte-Carlo" (in French). Monaco. Archived from the original on 22 July 2011. Retrieved 23 May 2009. ^ "The International School Of Monaco". ismonaco.org. ^ "Education System". Retrieved 15 February 2013. ^ "School Website". Retrieved 19 April 2017. ^ "Monaco Flag - World Flags 101 - Monacan Flags". Worldflags101.com. ^ "Monaco Flag". Worldflags101.com. Retrieved 2 July 2011. ^ a b c d e "The World Factbook". cia.gov. ^ a b c "Monaco – Embassies and Consulates". embassypages.com. ^ "The World Factbook". cia.gov. Archived from the original on 5 September 2015. Retrieved 8 August 2015. ^ a b c "Principality of Monaco". flagtheory.com. ^ Charlotte Geiger. "Lessons from history – The Monaco crisis from 1962–1963 and the emancipation of tax havens". finance-watch.org. ^ "The euro outside the euro area". Europa (web portal). Retrieved 26 February 2011. ^ "EU Customs Union". European Commission. Retrieved 18 June 2015. ^ a b "Taxation and Customs Union – Within the EU". European Commission. Archived from the original on 11 November 2012. Retrieved 9 September 2012. ^ "RECORDED HRVP Federica MOGHERINI host the ceremony on the occasion of the launching of the Association Agreement(s) negotiations with the Principality of Andorra, the Principality of Monaco and the Republic of San Marino". European Commission. 18 March 2015. Retrieved 18 March 2015. ^ a b c "Obstacles to access by Andorra, Monaco and San Marino to the EU's Internal Market and Cooperation in other Areas". 2012. Retrieved 30 March 2013. ^ "The Schengen acquis – Decision of the Executive Committee of 23 June 1998 on Monegasque residence permits". Official Journal of the European Union. 22 September 2000. Retrieved 9 September 2012. ^ EU relations with the Principality of Andorra, the Republic of San Marino and the Principality of Monaco: "If France adopts internal legislation transposing EU directives in certain areas covered by bilateral Agreements with Monaco, the Principality directly applies the French legislation in certain areas"
^ "Taxation and Customs – FAQ". European Commission. Archived from the original on 8 June 2012. Retrieved 12 September 2012. ^ "Council Regulation (EEC) No 2913/92 of 12 October 1992 establishing the Community Customs Code". Official Journal of the European Union. 19 October 1992. Retrieved 12 September 2012. ^ a b c "Annex 1: Overview of European Union countries" (PDF). European Commission. Archived from the original (PDF) on 4 May 2014. ^ "COUNCIL DIRECTIVE 2008/118/EC of 16 December 2008 concerning the general arrangements for excise duty and repealing Directive 92/12/EEC". Official Journal of the European Union. 14 January 2009. Retrieved 10 September 2012. "Monaco". The World Factbook. Central Intelligence Agency. The Monaco Times – a regular feature in The Riviera Times is the English language newspaper for the French – Italian Riviera and the Principality of Monaco provides monthly local news and information about the business, art and culture, people and lifestyle, events and also the real estate market. The 2003–04 UEFA Champions League was the 12th season of UEFA's premier European club football tournament, the UEFA Champions League, since its rebranding from the European Cup in 1992, and the 49th tournament overall. The competition was won by Portugal's Porto, who defeated AS Monaco of France 3–0 at the Arena AufSchalke in Gelsenkirchen, Germany for Portugal's first win since 1987. This was Porto's second European trophy in two years, following their UEFA Cup success from the previous season. This was the first UEFA Champions League competition to feature a 16-team knockout round instead of a second group stage. After eliminating (in order) Manchester United, Lyon and Deportivo La Coruña, Porto met AS Monaco in the final. Monaco had previously knocked out Lokomotiv Moscow, Real Madrid and Chelsea. Milan were the defending champions, but were eliminated by Deportivo La Coruña in the quarter-finals. The 2004 UEFA Champions League Final was a football match played at the Arena AufSchalke in Gelsenkirchen, Germany, on 26 May 2004, to decide the winner of the 2003–04 UEFA Champions League. Monaco, a Monaco-based club representing the French Football Federation, faced Portugal's Porto, who won the match 3–0, with Carlos Alberto, man of the match Deco and Dmitri Alenichev scoring the goals. Before 2004, Porto's last triumph in the competition had been in 1987 – although they had won the UEFA Cup the previous season – while Monaco were playing in their first ever Champions League final. Both teams started their UEFA Champions League campaigns in the group stage and defeated former European champions on their way to the final. Porto beat 1968 and 1999 winners Manchester United while Monaco defeated nine-time champions Real Madrid. Both teams were considered underdogs in the competition before the final stages and were led by young managers: Monaco had former France national football team star Didier Deschamps and Porto were led by rising star José Mourinho, who left the team for Chelsea after the final. Monaco became the second French team to reach the Champions League final. Marseille lost the 1991 final but triumphed two years later, defeating Milan. This was the fifth final in the history of the European Cup in which neither of the teams came from England, Germany, Italy or Spain, and the first since the aforementioned 1991 final, when Marseille beat Red Star Belgrade of Yugoslavia. Association sportive de Monaco football club, commonly referred to as AS Monaco (pronounced [ɑ ɛs mɔnako]) or Monaco, is a Monégasque football club that competes in Ligue 1, the top tier of French football. Founded in 1924, the team plays its home matches at the Stade Louis II in Fontvieille. The club is coached by Leonardo Jardim and captained by Radamel Falcao.Though based in Monaco, the club plays in the French football league system. Monaco is one of the most successful clubs in French football, having won eight league titles and five Coupe de France trophies. The club has also competed in European football, and were runners-up in the UEFA Cup Winners' Cup in 1992 and the UEFA Champions League in 2004. Albert II (Albert Alexandre Louis Pierre Grimaldi; born 14 March 1958) is the reigning monarch of the Principality of Monaco and head of the princely house of Grimaldi. He is the son of Prince Rainier III and the American actress Grace Kelly. Prince Albert's sisters are Caroline, Princess of Hanover, and Princess Stéphanie. In July 2011, Prince Albert married Charlene Wittstock.Prince Albert II is one of the wealthiest royals in the world, with assets valued at more than $1 billion, which include land in Monaco and France. Although Prince Albert does not own the Prince's Palace of Monaco, he does own shares in the Société des bains de mer de Monaco, which operates Monaco's casino and other entertainment properties in the principality. Bernardo Mota Veiga de Carvalho e Silva (Portuguese pronunciation: [bɨɾˈnaɾdu ˈsiɫvɐ]; born 10 August 1994) is a Portuguese professional footballer who plays as a midfielder for Premier League club Manchester City and the Portugal national team. Born in Lisbon, Silva came through Benfica's youth academy. In 2013, he began playing for the club's reserve side and was promoted to the first team the following season. He was on loan at the Ligue 1 side Monaco during the 2014–15 season, with Les Monégasques making the move permanent in the winter of 2015. After winning the national championship with them in 2017, Silva was sold to the English club Manchester City for a reported fee of £43.5 million. He subsequently won the Premier League and EFL Cup in his first season in England. Silva made his senior debut for Portugal in 2015 after previously being capped by Portugal youth teams at under-21 and under-19 levels. He was chosen in Portugal's squads for the 2017 Confederations Cup and 2018 World Cup. to the former throne of the Kingdom of Hanover, as well as the heir male of George III of the United Kingdom. Grace Patricia Kelly (November 12, 1929 – September 14, 1982) was an American film actress who became Princess of Monaco after marrying Prince Rainier III in April 1956. After embarking on an acting career in 1950, when she was 20, Kelly appeared in New York City theatrical productions and more than 40 episodes of live drama productions broadcast during the early 1950s Golden Age of Television. In October 1953, she gained stardom from her performance in director John Ford's film Mogambo starring Clark Gable and Ava Gardner, which won her a Golden Globe Award and an Academy Award nomination in 1954. Subsequently, she had leading roles in five films, including The Country Girl (1954) with Bing Crosby, for which her deglamorized performance earned her an Academy Award for Best Actress. Other films include High Noon (1952), with Gary Cooper; High Society (1956), with Bing Crosby and Frank Sinatra; and three Alfred Hitchcock films: Dial M for Murder (1954), with Ray Milland; Rear Window (1954), with James Stewart; and, To Catch a Thief (1955), with Cary Grant. Kelly retired from acting at the age of 26 to marry Rainier, and began her duties as Princess of Monaco. They had three children: Caroline, Albert, and Stéphanie. Kelly retained her link to America by her dual U.S. and Monégasque citizenship. Princess Grace died at Monaco Hospital on September 14, 1982, succumbing to injuries sustained in a traffic collision the day before. After her death the French physicians treating her reported that a CAT scan had revealed she had suffered two brain hemorrhages. The first occurred prior to the crash, and is believed to have been the inciting incident that led to the crash. The second, suffered while in hospital, is believed to have been the result of physical trauma sustained in the crash. At the time of her death, she was 52 years old. She is listed 13th among the American Film Institute's 25 Greatest Female Stars of Classical Hollywood Cinema. The early history of Monaco is primarily concerned with the protective and strategic value of the Rock of Monaco, the area's chief geological landmark, which served first as a shelter for ancient peoples and later as a fortress. Part of Liguria's history since the fall of the Roman Empire, from the 14th to the early 15th century the area was contested for primarily political reasons. Since that point, excepting a brief period of French occupation, it has remained steadily under the control of the House of Grimaldi. The House of Grimaldi is associated with the history of the Republic of Genoa, Italy, and of the Principality of Monaco. The Grimaldi dynasty is a princely house originating in Italy, founded by the Genoese leader of the Guelphs, Francesco Grimaldi, who in 1297 took the lordship of Monaco along with his soldiers dressed as Franciscans. In that principality his successors have reigned to the present day. During much of the Ancien Regime the family spent much of its time in the French court, where from 1642 they used their French title of Duke of Valentinois. The current head of the family is Albert II of Monaco, Sovereign Prince of Monaco, son and successor of Prince Rainier III and the princess consort Grace of Monaco, formerly Grace Kelly. Kylian Mbappé Lottin (French pronunciation: ​[kiljan (ɛ)mbape lɔtɛ̃]; born 20 December 1998) is a French professional footballer who plays as a forward for Ligue 1 club Paris Saint-Germain and the France national team. Considered one of the best players in the world, he is known for his finishing, dribbling, and speed. Born and raised in Paris, Mbappé started his senior career playing for Ligue 1 club Monaco, where he made his professional debut in 2015, aged 16. With the Monegasque side, he starred as a goalscorer and helped the team win the league title in his second season, winning Ligue 1 Young Player of the Year and the Golden Boy awards in the process. Mbappé's performances then attracted fellow French side Paris Saint-Germain, and he was the subject of the second most expensive association football transfer, as well as the most for a teenager, when he moved to the club in a transfer worth €180 million in 2018. In his debut season in the French capital, Mbappé helped the club capture a domestic treble of Ligue 1, Coupe de France, and Coupe de la Ligue. By age 19, he also garnered his first The Best FIFA Men's Player and Ballon d'Or nominations, and won the inaugural Kopa Trophy award. Mbappé made his senior debut for France in 2017, at age 18. At the 2018 FIFA World Cup, Mbappé became the youngest French player to score at a World Cup, and became the second teenager, after Pelé, to score in a World Cup Final. He finished as the joint second-highest goalscorer as France won the tournament, and received the Best Young Player and French Player of the Year awards for his performances. The following is a complete list of World Championship races (often, but not always, called Grands Prix) that have been a part of the FIA World Championship since its inception in 1950. The terms "Formula One Grand Prix", "Formula One race", and "World Championship race" were not always synonymous throughout history – see Formula One#Distinction between Formula One and World Championship races for a detailed explanation. Major auto racing events are often named Grands Prix (the plural form of Grand Prix), a tradition dating back to the first decade of the 20th Century and the Grand Prix motor racing of the 1920s and 1930s. As of the 2019 Chinese Grand Prix, 1,000 World Championship races have been held, including the Indianapolis 500 races which were a part of the World Championships from 1950 until 1960 despite not being named a Grand Prix. As of 2019, a World Championship Grand Prix must have a scheduled race distance of at least 305 km (190 mi), with the exception of the Monaco Grand Prix (which must have a scheduled race distance of at least 260 km (160 mi)), and no race can run for more than 2 hours. The Monaco Grand Prix (French: Grand Prix de Monaco) is a Formula One motor race held each year on the Circuit de Monaco. Run since 1929, it is widely considered to be one of the most important and prestigious automobile races in the world and, with the Indianapolis 500 and the 24 Hours of Le Mans, forms the Triple Crown of Motorsport. The circuit has been called "an exceptional location of glamour and prestige".The race is held on a narrow course laid out in the streets of Monaco, with many elevation changes and tight corners as well as a tunnel, making it one of the most demanding tracks in Formula One. In spite of the relatively low average speeds, the Monaco circuit is a dangerous place to race and often involves the intervention of a safety car. Thus, it is the only Grand Prix that does not adhere to the FIA's mandated 305-kilometre (190-mile) minimum race distance for F1 races.The Monaco Grand Prix was part of the pre-Second World War European Championship and was included in the first World Championship of Drivers in 1950. It was designated the European Grand Prix two times, 1955 and 1963, when this title was an honorary designation given each year to one Grand Prix race in Europe. Graham Hill was known as "Mr. Monaco" due to his five Monaco wins in the 1960s. Brazil's Ayrton Senna won the race more times than any other driver, with six victories, winning five races consecutively between 1989 and 1993. The Sovereign Prince (French: Prince de Monaco) or Princess of Monaco (French: princesse de Monaco) is the reigning monarch and head of state of the Principality of Monaco. All reigning princes and princesses have officially taken the name of the House of Grimaldi, although some have belonged to other families (Goyon de Matignon or Polignac) in the male line. The present reigning prince is Albert II. The Monte Carlo tennis championship was first held in 1897. It became an "Open" event in 1969. From 1970 through 1972 and from 1978 through 1989 it was a major tournament of the Grand Prix Tour as part of the Grand Prix Super Series top tier events. In 1973 the tournament was part of the Rothmans Spring Mediterranean Circuit. From 1974 through 1977 the tournament was part of the World Championship Tennis (WCT) circuit. In 1990 it became an ATP Championship Series Single Week tennis event. Rafael Nadal won the title eight consecutive times between 2005 and 2012, making him the only player to win eight consecutive titles at the same tournament. In 2017, contesting his 11th final against Albert Ramos Viñolas, he won the title for an Open Era record 10th time. The following year, Nadal improved this record to 11 wins in a final against Kei Nishikori. Monte Carlo (; Italian: [ˈmonte ˈkarlo]; French: Monte-Carlo [mɔ̃te kaʁlo], or colloquially Monte-Carl [mɔ̃te kaʁl]; Monégasque: Munte Carlu) officially refers to an administrative area of the Principality of Monaco, specifically the ward of Monte Carlo/Spélugues, where the Monte Carlo Casino is located. Informally the name also refers to a larger district, the Monte Carlo Quarter (corresponding to the former municipality of Monte Carlo), which besides Monte Carlo/Spélugues also includes the wards of La Rousse/Saint Roman, Larvotto/Bas Moulins, and Saint Michel. The permanent population of the ward of Monte Carlo is about 3,500, while that of the quarter is about 15,000. Monaco has four traditional quarters. From west to east they are: Fontvieille (the newest), Monaco-Ville (the oldest), La Condamine, and Monte Carlo. Radamel Falcao García Zárate (Spanish pronunciation: [raðaˈmel falˈkao]; 10 February 1986) is a Colombian professional footballer who plays as a forward for and captains both Monaco and the Colombia national team. He is sometimes nicknamed "El Tigre" (Spanish for The Tiger) or "King of the Europa League".Falcao began his professional career at the age of 13 at Lanceros Boyacá, before moving to the Argentine club River Plate, where he won the 2007–08 Clausura tournament. In 2009, he joined the Portuguese club Porto, where he won several trophies, including the Europa League and Primeira Liga double in 2011. Falcao became their all-time top goalscorer in international club competitions and set the record for most goals (17) in a European campaign. He also became the first Colombian to receive the Portuguese Golden Ball award. In August 2011, Falcao was transferred to Atlético Madrid for a club record €40 million, leading them to Europa League and Super Cup victories in 2012. Falcao finished as top goalscorer for the second straight year and became the first player to win consecutive Europa League titles with two teams. He was named in the FIFA World XI for 2012.In May 2013, Falcao joined newly promoted Monaco for a club record €60 million; however, an ACL injury ruled him out for several months. Falcao spent the next two seasons on loan at Premier League clubs Manchester United and Chelsea, eventually rejoining Monaco in 2016 and leading them to Ligue 1 title for the 2016–17 season. Falcao made his senior debut for Colombia in 2007, and has since earned 83 caps and scored 33 goals, making him their all-time top scorer. He represented the country at the 2011 and 2015 Copa América. Falcao missed the 2014 FIFA World Cup through injury, but made his World Cup debut at the 2018 tournament in Russia. Prince Rainier III (Rainier Louis Henri Maxence Bertrand Grimaldi; 31 May 1923 – 6 April 2005) ruled the Principality of Monaco for almost 56 years, making him one of the longest ruling monarchs in European history. Though internationally known for his marriage to American actress Grace Kelly, he was also responsible for reforms to Monaco's constitution and for expanding the principality's economy from its traditional casino gambling base to its current tax haven role. Gambling accounts for only approximately three percent of the nation's annual revenue today; when Rainier ascended the throne in 1949, it accounted for more than 95 percent. Thierry Daniel Henry (French pronunciation: ​[tjɛʁi ɑ̃ʁi]; born 17 August 1977) is a French professional football coach and former player who was most recently the manager of Ligue 1 club Monaco. Considered one of the best strikers of all-time, Henry made his professional debut with Monaco in 1994, where good form led to an international call-up in 1998, after which he signed for defending Serie A champions Juventus. Limited playing time at Juve where he was played out of position on the wing allowed him to sign for Premier League club Arsenal for £11 million a year later. It was at Arsenal that Henry made his name as a world-class player. Under long-time mentor and coach Arsène Wenger, Henry became a prolific striker and Arsenal's all-time leading scorer with 228 goals in all competitions. He won two FA Cups and two league titles at the club, including one unbeaten. In 2003 and 2004, Henry was the runner-up for the FIFA World Player of the Year. He was named the PFA Players' Player of the Year twice, and the FWA Footballer of the Year three times, and has been named in the UEFA Team of the Year five times. Henry spent his final two seasons with Arsenal as club captain, leading them to the 2006 UEFA Champions League Final. In June 2007, after eight years with Arsenal, he transferred to Barcelona for a fee of €24 million. In 2009, he was an integral part of the club's historic treble when they won La Liga, the Copa del Rey and the UEFA Champions League. He went on to achieve an unprecedented sextuple by also winning the Supercopa de España, the UEFA Super Cup and the FIFA Club World Cup. In 2010, he joined New York Red Bulls of Major League Soccer (MLS), where he won the MLS Supporters' Shield in 2013. He also returned to Arsenal on loan for two months in 2012, before retiring in 2014. Henry enjoyed sustained success with France, winning the 1998 FIFA World Cup, UEFA Euro 2000 and 2003 FIFA Confederations Cup. In October 2007, he became his country's record goalscorer. After amassing 123 appearances and 51 goals, Henry retired from international football after the 2010 FIFA World Cup. Henry was also one of the top commercially marketed footballers; he was ranked ninth in the world in 2006. After retiring, Henry transitioned into coaching, and was appointed as an assistant coach at Belgium in 2016, before assuming the role as the head coach at Monaco in 2018. He was relieved of his duties at Monaco in January 2019.